On Aug 29th another new chapter in the Halo universe will be unfurled – well, several of them, technically – as Halo: Retribution by Troy Denning makes its way to store shelves and lore-loving hands. 'December 2553. 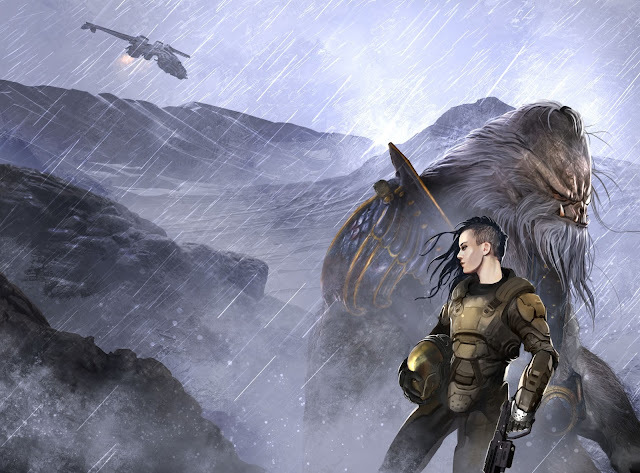 Less than a year after the end of the Covenant War, a string of violent incidents continues to threaten the tenuous peace in human-held space, culminating in the assassination of UNSC fleet admiral Graselyn Tuwa and the abduction of her family. It is a provocation so outrageous that the Office of Naval Intelligence must retaliate swiftly and ferociously—but only after its operatives identify her killer and rescue the hostages. This mission will be the first for homicide-detective-turned-ONI-operative Veta Lopis and her young team of Spartan-IIIs, and something feels wrong from the start. The obvious suspect is an infamous Brute who leads the Keepers of the One Freedom, an ex-Covenant splinter group in fierce opposition to the UNSC. Check out our June 22nd Community Update for more info on the upcoming novel.